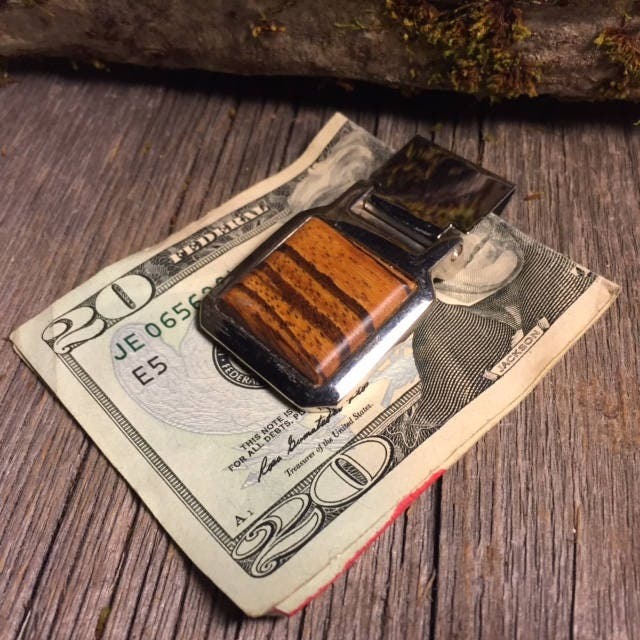 This unique hinged money clip features a gorgeous cut of Zebra wood ,accurately inlayed onto a chromed steel money clip/ billfold.The hand-shaped blank is cut from solid stock, and not veneer, and is meticulously sanded and finished with oil and wax. Each piece is then individually buffed for a finish-like warm glow, resulting in a completed piece without a surface finish that could crack, peel or flake off. Each clip is unique in texture and grain, and boasts a beauty that only natural wood can achieve. 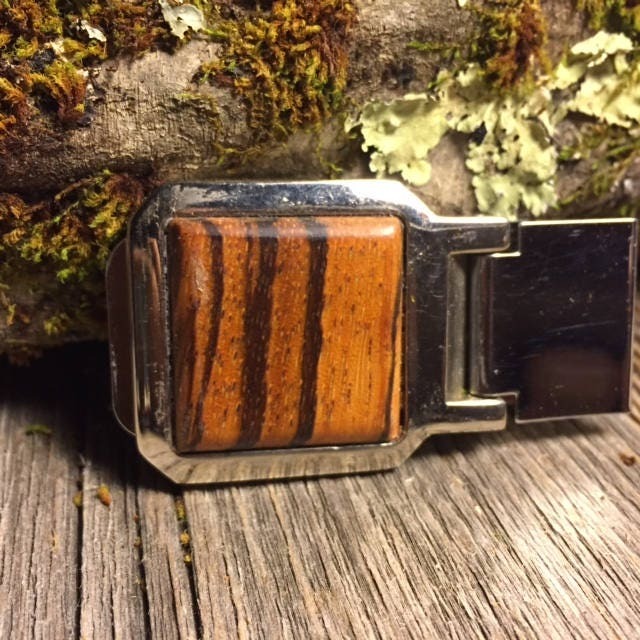 A full line of handmades is available in an assortment of money clips, bill folds, cufflinks, tie backs, tie tacks, bangles, pendants and keychains; all crafted for the discerning connoisseur of fine hand-crafted fashion accessories. 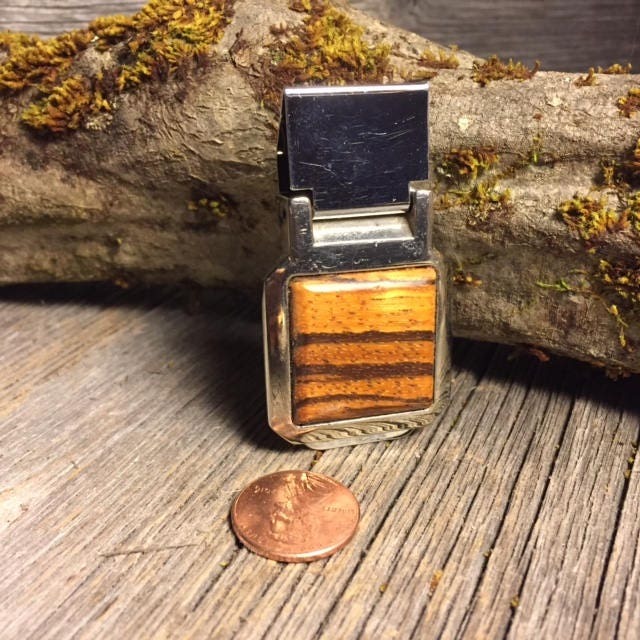 This clip is available in an array of exotic woods just like my fine Barrettes. 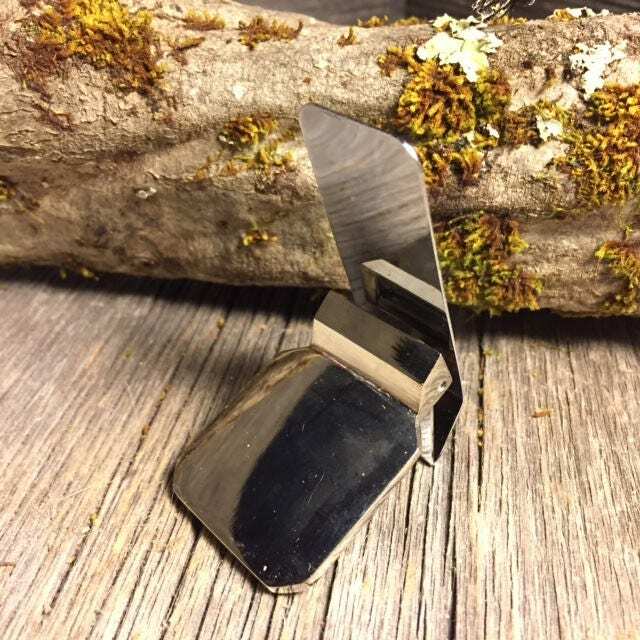 The clip itself has a diameter of 2 1/4" (57 mm) x 1 1/4" ( 31mm) x 1/2" thick and is chrome plated, for the ultimate luxurious appearance.